...there was a cat named Katie. Katie loved her food. She loved it as much as a catnip mouse, feather toy and a cuddle with her favorite girl combined. But Katie didn't always love her food. You see, Katie has a nasty disease called IBD, inflammatory bowel disease. It took many years to even figure out that's what she had. And it took even longer to figure out how to help her. One of the side effects of IBD is extreme gastrointestinal distress. And for Katie, that meant whatever she ate, she'd throw up. For a kitty who loves her food, that's pretty devastating. Mealtime for her was not pleasant. She'd eat very tentatively, slow and rarely finishing her food. Probably because she wasn't feeling well. So her girl read and read. She googled and googled. And she sought advice from some of the best and smartest experts in the fields feline nutrition and veterinary medicine. It became quite clear that Katie's silver bullet was a food transition to something her vet calls 'biologically appropriate.' The quick explanation of what that means is to understand that cats are obligate carnivores. And the quick answer to "what does that mean?" is that cats need meat as their primary, and in many cases, only food source, in order to survive and thrive. Their bodies can't process fruits, vegetables, and Cheetos like humans can. Their digestive systems are just aren't designed that way. If you take a peek at any of the cat food on the store shelves, you'll see all sorts of vegetable sounding ingredients. For some cats, a little bit of those vegetables might be ok. Not ideal, but they manage to digest everything without incident. But not Katie. Even the tiniest, trace amount of plant matter causes her extreme gastrointestinal distress. 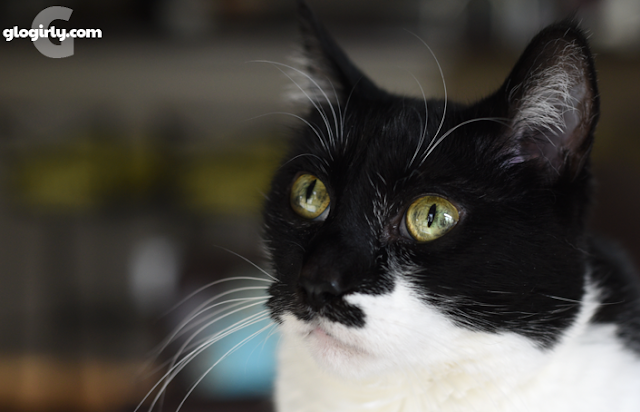 On the recommendation of our vet, we began a transition to Balanced Blends six months ago. 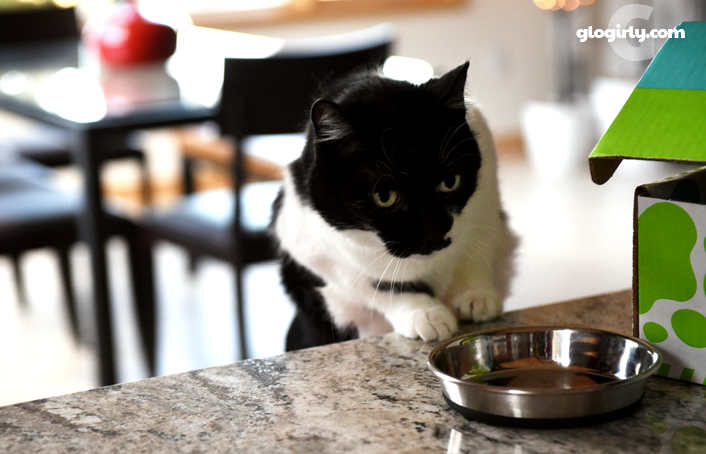 Balanced Blends has cracked the code on biologically appropriate nutrition for cats - balancing the appropriate amount of vitamins and minerals to a cat's nutritional needs with their "ancestral" (a.k.a biologically appropriate) diet. 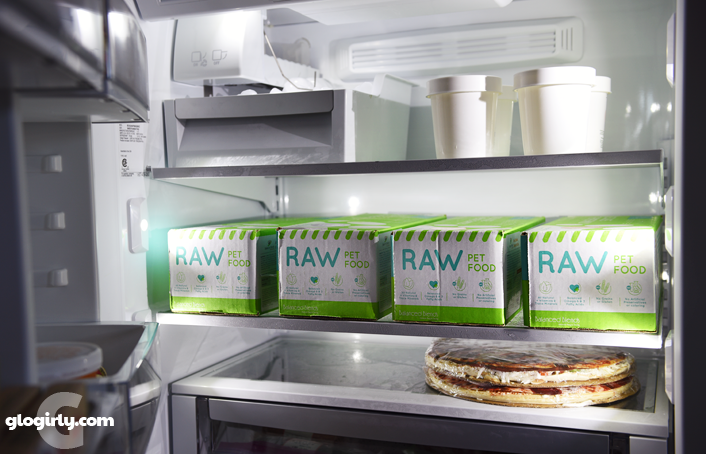 They avoid processed food in favor of fresh and natural raw. Raw, uncooked diets retain more nutrients and more closely mimic what mother nature intended cats to eat. 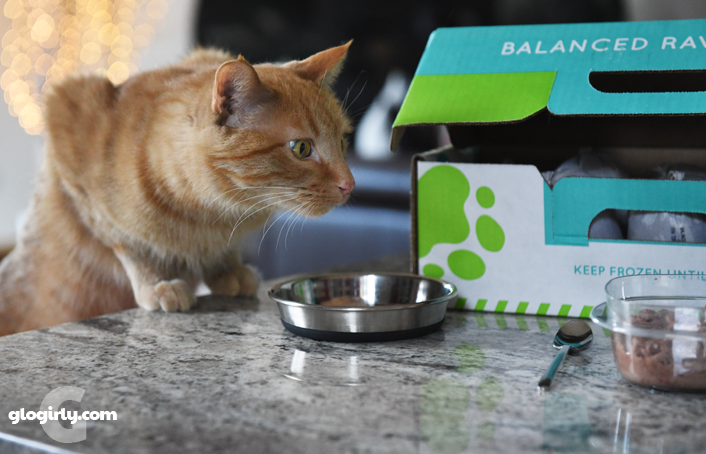 Your cat doesn't have to suffer from the same ailments as Katie to benefit from Balanced Blends. In addition to improved digestion, a balanced raw diet can contribute to a healthier skin and coat, reduced allergies, increased energy, weight management, and a virtually odor-free stool (YES!!!). Of course, any food transition comes with its challenges. At 12 years old, Katie is just a teensy bit set in her ways. So we took it very, VERY slow. And just a couple of weeks before Christmas, Katie had made the leap 100%. She was officially a Balanced Blends kitty, eating a raw, pure protein, biologically appropriate diet. And she was already showing dramatic signs of improvement as it pertains to the effects of her IBD. So you're probably wondering how it is that a cat food saved Christmas, right? Ok, we promise we're almost there! Just a couple more details that are pertinent to the story. Balanced Blends is not sold in brick and mortar stores. Their food is available for purchase online and ships anywhere, nationwide. It arrives frozen, packed in dry ice, and ready to store in the freezer. Each 5-pound box contains 10 small 1/2 pound chubs that you simply take out of the freezer to thaw as needed. We were running low on food in early December, so Glogirly put in her order to make sure we'd be fully stocked in time for the holiday. When our delivery date arrived, we waited and waited. Not a FedEx truck in sight. We checked tracking and the delivery date had been delayed. But only for a day. So the next day, Glogirly waited and waited some more. Still no FedEx. It was getting late and up here in the mountains at 8,000 feet it was pitch dark. She called the local FedEx distribution center to alert them of the importance of the delivery. All they could tell her was that it was on the truck and out for delivery. But she had a bad feeling. No one, including the delivery drivers, like driving the mountains in the dark. Plus, we'd just had a few inches of fresh snow. Glogirly drove up to the main highway in hopes of spotting the FedEx truck to flag them down. She parked, waited, but still nothing. Katie had been without food all day. She wouldn't touch Waffles' chicken. It was turkey or nothing. Soon she'd be forced to revert to her old food which we still had on hand, thus erasing so much of her food transition progress. Not to mention, putting her at risk of more intestinal upset. Glogirly's last resort was to call the phone number on Balanced Blend's website. She didn't expect anyone to answer, but wanted to at least leave a message. She explained what was going on, that FedEx was MIA, and she told of her desperation over Katie and her health condition. What happened next was the beginning of our Christmas miracle. The phone rang. It was Christina, one of the founders of Balanced Blends. She had picked up the message and began looking into the order. She'd already checked into the delivery and hit the same road blocks as Glogirly. Having five cats of her own, some with similar health issues, she completely understood what Glogirly and Katie were going through. Remember when we explained that Balanced Blends is only available online? Well what we didn't mention is that Christina and her husband live in Boulder, Colorado. That's where Balanced Blends was founded, about an hour from where we live. And she had 10 pounds of the same food that Katie had transitioned to in her freezer. Less than two hours later, Christina and her husband were at our front door with 10 pounds of raw turkey for Katie. They drove over an hour in the dark of night, up our steep and winding mountain road, down our treacherous snow-covered dirt road driveway, with only the light of the stars to guide their way, that Friday night before Christmas. All to get Katie her food. They'd even thawed out a little bit so she'd be able to eat right away. So do you think we're customers for life? Glogirly was practically in tears as she hugged Christina, thanking her for saving our Christmas. Yes, Katie. There really IS a Santa Claus. And her name is Christina. Want to sample Balanced Blends? 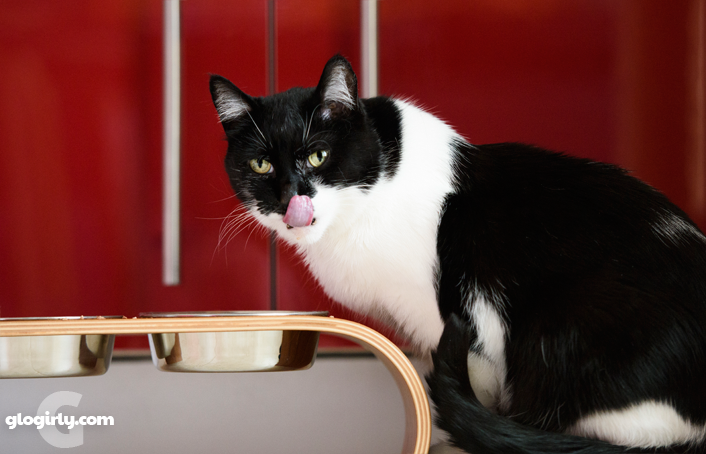 If you'd like to try out the food with your kitties (they have diets for dogs too!) you can save $2 on a 2-pound sample pack and shipping is free with our referral link below. 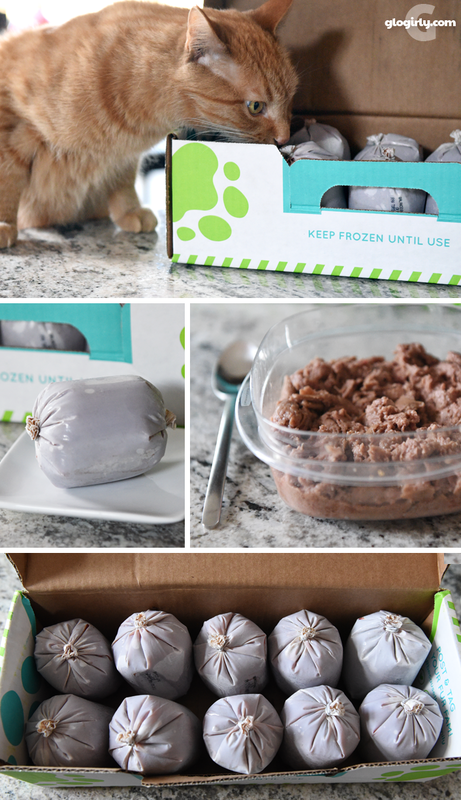 It's an awesome way to get introduced to what we believe is the best food for cats out there. From the best company ever. Yeah, we're gushing. But wouldn't you be too? Shop for your sample pack HERE. This is not a paid product review. We purchased our food from Balanced Blends and they have not even asked us to post a review. This is our gift of thanks to them and our way of sharing a product and company we believe is relevant and of interest to our readers. Our opinions and the content of this article are our own. I have tears running down my eyes! THAT right there is the best customer service/ company loving what they do/company who loves pets, story I have EVER EVER read in my entire life! I am so happy that Katie got her food and I will be ordering a sample of that food for Molly Mew in the next 5 minutes. I chose the chicken for Molly Mew. She is a tuna lover but I will jump for joy if I can get her away from tuna. I sure hope Molly Mew enjoys the food because I will definitely be a repeat customer if she licks her plate clean. Thank you for including the link to save the $2.00. This order cost $8.00 less than the 2 pounds of Ahi tuna I buy. This is so inspiring! Christina and her husband are on Santa's nice list for life, there's no doubt about that. Wow! Talk about service! I'm so happy that Katie is better, and that your Christmas was saved. Hide and Seek eat a similar food ! (Stella and Chewy's, which is available at my local holistic pet supplies store). An all animal diet really makes a difference. Wow, that IS customer service! My human and I are both very, very impressed. Wow! Those are sweet people! What wonderful customer service! It brought tears to my eyes reading it. That is delightful. I'm thrilled it worked out for you. Did the food ever arrive? Was it still frozen? The food order actually did arrive the next day. Although the dry ice was gone, only some of the food has started to thaw. But not so much that it was bad. We were able to save it all. Just put it in the freezer. FedEx by the way was VERY apologetic. Wow, that is GREAT customer service. What a thoughtful and caring purrson. That was awesome of the owner - such kindness. We think you should print out this post and the comments and send it to them to let them know that cats and their owners around the world think that they are awesome. Balanced Blends is a favorite at our house, too. I've found them absolutely wonderful to deal with, but what they did for you - wow, that's going beyond above and beyond! Talk about a company who really cares about their customers! That's wonderful! What an amazing story. Kudos to these wonderful people! You won't find service like that in the corporate world. It's only people who really care who will go the extra step. I would be shouting their name from the rooftops as well! Oh......did Waffles whisper in Katie's ear that she wouldn't like his chicken? Wow! Now that's customer service. We'll definitely check out Balance Blends. Oh mine goodness!!! First I'm so happy you transitioned her to raw food. It really does work as you can see. And second, thank you for sharing this beautiful, caring story. Wouldn't it be nice if all businesses were are caring as they are? What wonderful souls. This is enough to make me want to go this route for my two. How scarry! We will now go de-stress from the worries of Katie not having any food! That is absolutely amazing, and wonderful!! Now this is the kind of story we love to read, and the kind of company we like to support. Our mom is going to check this out to see if we'll eat it. We're so glad Santa came a couple of days early for Katie. Wow....talk about above and beyond. We are glad Katie has something to help her and that you found such a great company. Holy cats (and dogs), that's a wonderful story! Other companies could learn from this--caring about customers and showing it makes the product even better. So glad that Katie is doing well. We have major issues with FedEx not delivering to our house (they go through the post office sub-contracting or something) and half our orders never get to us. Otherwise, I'd give this a try. OMC! They really did go above and beyond and saved the day! I hope Christina made it onto your Christmas card list! What a story! This is amazing customer service. I haven’t made the decision yet to transition the girls to raw yet but this sounds like s great company. FedEx is terrible. That is a wonderful story and clearly a great company founded by amazing people. I did not know about this condition, and am glad to hear about it. A stressful situation resolved by the sacrifice of friends--how Christmassy is that?! Just amazing. What kind, caring, and responsible business owners with big hearts! Now that is service! Wow! This gave me happy tears. Wow how wonderful they delivered in treacherous conditions right to your door! Now I wish they delivered to Canada too. So happy for your and Katie. What a wonderful heart-warming story! That is truly amazing customer service! This is a story for the ages! Good going, Christina! I'm glad Katie got her food but shame on the wussies at FedEx. If I ever find out if a biting cat can eat raw without passing it on to her humans, I'll try ordering some. Amazing and so happy that Katie got her foods. I can't imagine not having my tummeh full any time I want. WOW! Christina is an angel! Small businesses ROCK! I am so lucky that Marvelous has no issues. He is like Nellie was and will eat (and can eat) anything. Now *that* is customer service and appreciation! Oh, Momma's eyes got leaky at that. What a wonderful thing for Christina to do for Katie!! We loved this story when we read it, and mom remembered it when she was researching food options for Dip. He is progressing on his kidney disease a bit and we want him to have something delicious and good for him since he really hates the KD prescription food. We ordered the chicken starter pack and can't wait to try it. So glad this food is good for Katie! I love the story. A perfect gift in Christmas.